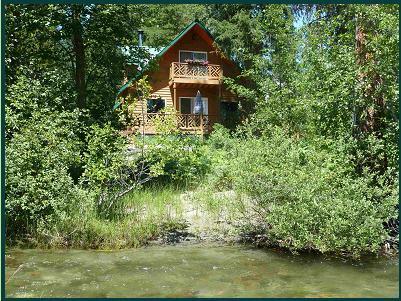 Picture yourself in a beautiful three bedroom, two bath chalet on the banks of the sparkling Wenatchee river surrounded by trees and bathed in sunshine. 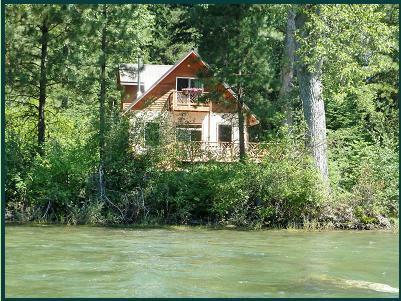 This piece of Seventh Heaven can be yours to enjoy as a perfect getaway in the heart of Washington's recreation paradise. The chalets are fully furnished, include a hot tub, and are situated on a privately owned 14 acre piece of land with 1500 feet of low bank river front to enjoy. The property's tranquil setting along with its proximity to summer and winter activities will truly make your stay at Seventh Heaven unforgettable.